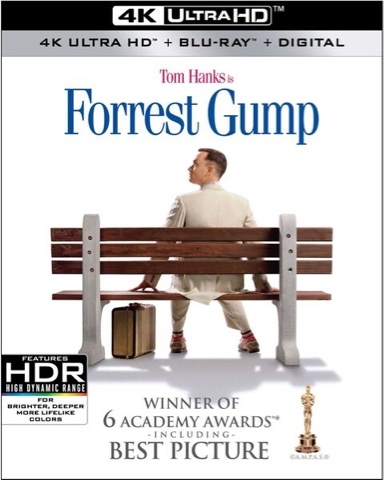 Experience FORREST GUMP in stunning high definition, accompanied by over two hours of dynamic bonus features. Tom Hanks gives an astonishing performance as Forrest, an everyman whose simple innocence comes to embody a generation. Alongside his mamma (Sally Field), his best friend Bubba (Mykelti Williamson), and his favorite girl Jenny (Robin Wright), Forrest has a ringside seat for the most memorable events of the second half of the 20th century. Winner of six Academy Awards, including Best Picture, Best Director (Robert Zemeckis), and Best Actor (Tom Hanks), FORREST GUMP remains one of the great movie triumphs of all time.